Many of our children in Colombia live in slum like conditions and come from families that struggle to provide for their needs. New school resources are unaffordable for many families and without these items children feel inadequate and worthless compared to their peers. Therefore great excitement spread through our care centre when new school bags were given to each child. The bags were packed pull of resources; pens, pencils, notebooks, erasers, sharpeners, rulers and colourful folders that will encourage our children’s love of learning and give them a confidence boost. 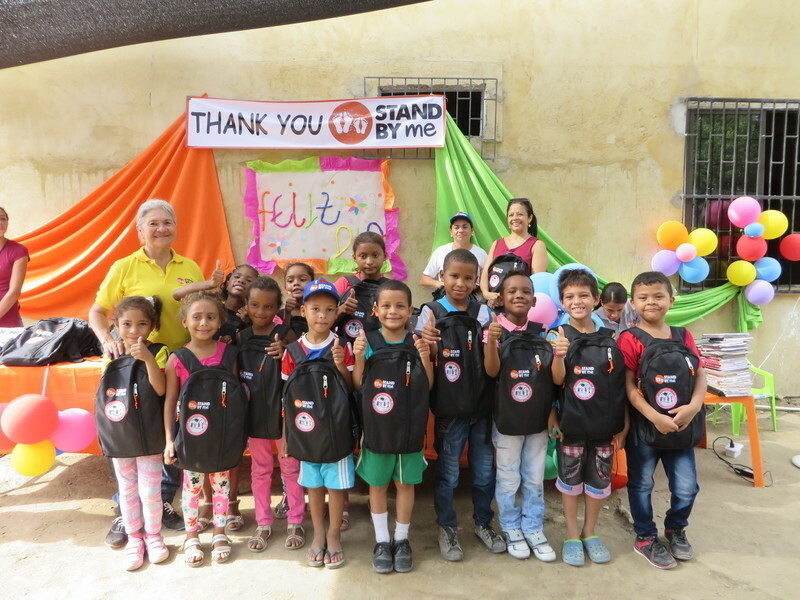 For children in Colombia, an education equips them with knowledge and tools necessary to break the cycle of poverty and provide for their own future. Bags and school resources help to bring dignity, equality and a sense of belonging. Sebastian and his friends at our care centre now have a bounce in their step carrying their smart new bags. If you want to provide the excitement of a school bag and resources, get your hands on our Alternative Gift Catalogue. Browse the educational resources you can purchase to give some of the poorest children in the world access to a great education. Elizabeth grew up in Shan State in severe poverty. At 8 years old she had never been to school and she had contracted Hepatitis B. Now she is part of our Stand by Me family, she attended school for the first time and we are getting her the medical attention she needs.